Made the mistake this evening of sitting on my bed just after dinner, waiting for the video clips from todays travels to upload. I fell asleep , and woke up around an hour ago, which was midnight! And now cant get back to sleep. So, a quick blog update from the day and hopefully I'll get some sleep before setting off into Mushigame tomorrow. Its been another inspiring day, with many highlights. Here's a diary of how we got on. 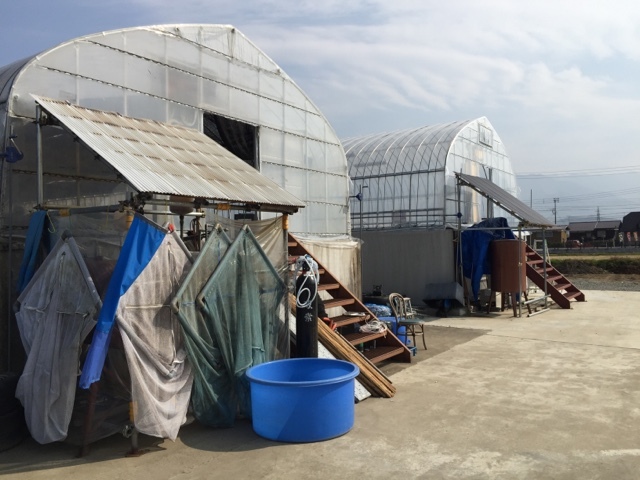 After the experience at Isa the other day, where there were two ponds of showa that were something special - we both had a desire to get to Sekiguchi, who also specialises in Showa. He's just over 60km from the hotel, and that was the first place we headed to this morning. The farm buildings on that site are made up by some polytunnels and there were some small mud ponds outsite the tunnels. 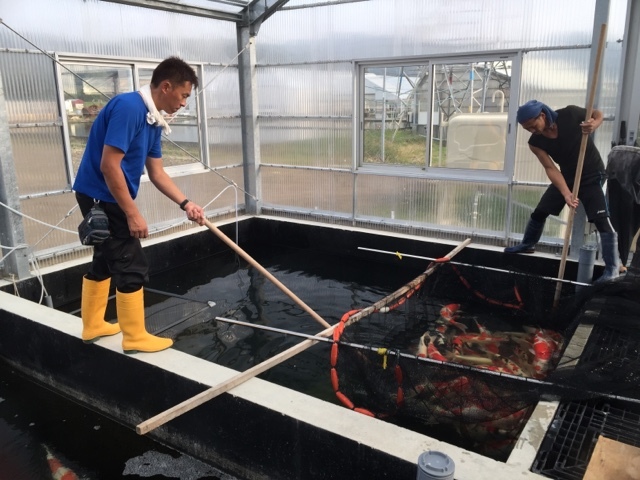 About 20 minutes later, and Sekiguchi san arrived and we proceeeded to look at some of his ponds. 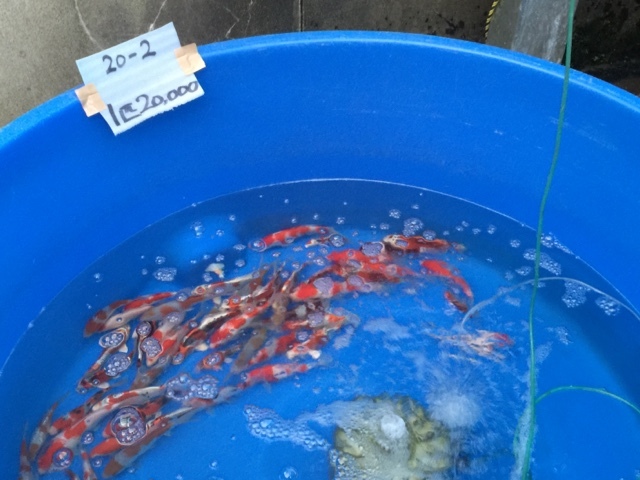 Just to demonstrate how diificult koi breeding is, I shall relay what Sekiguchi said had happened to his sansai this year. Unfortunately, he lost the entre mud pond of sansai! That's 3 years work! And I can only imagine the quality of fish lost too... 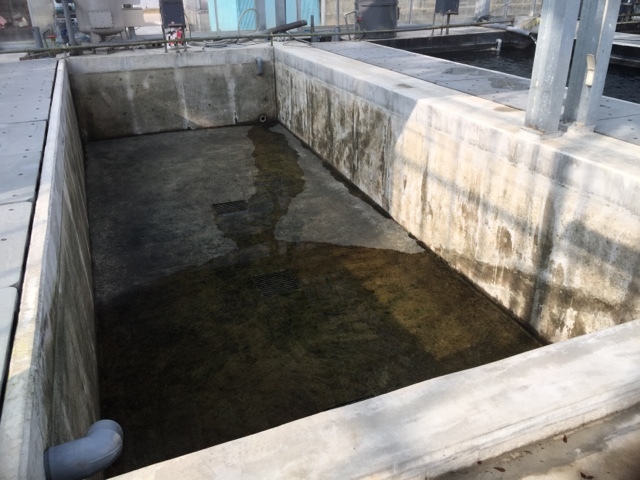 He said it was to do with the wether conditions this year, which causes a problem with the fabric of the mud and the water level slowly decreased and then he lost the entire stock. We spent some time looking through his nissai, and there were some great examples of showa on display. What was particularly interesting is that he had a pond of small nissai - he called them bonsai nissai. We pulled one up to have a closer look and the quality was outstanding. The water in the ponds had a slight brown tinge so, it was difficult to see the true skin quality until that point. 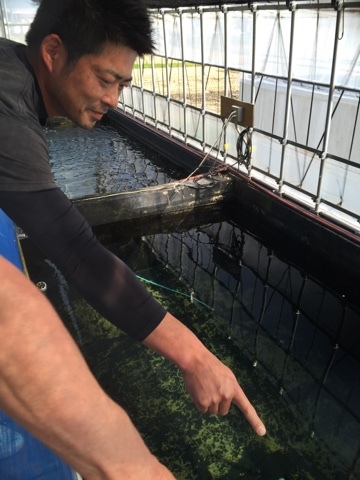 sekiguchi san pointing out a fish we were iterested in hearing more about. 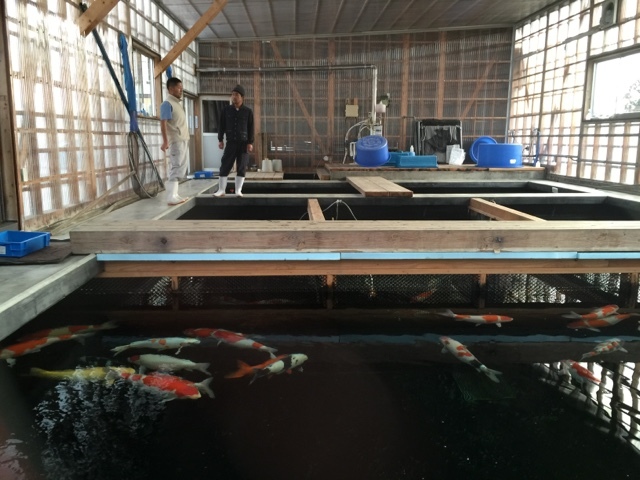 We took the scenic route back towards Dianichi and stopped off at a koi farm that I've never heard of. No one was there, and we just had a look around. 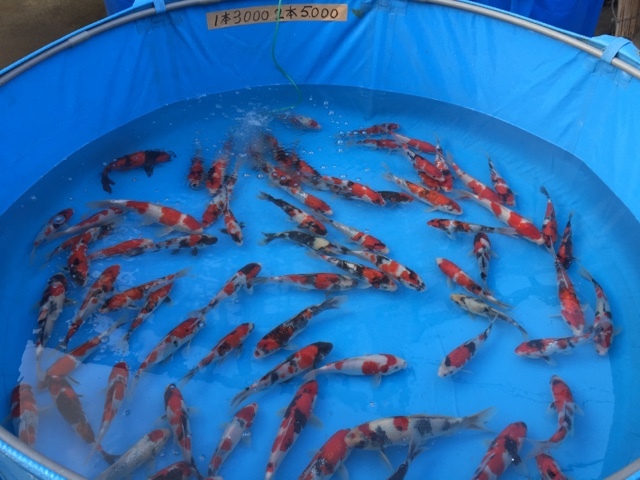 Then onto Dianichi, and despite the farm stock being significantly depleted from the auction at the beginning of October, there was still some great koi on show - and the bodies oms some of them was immense. 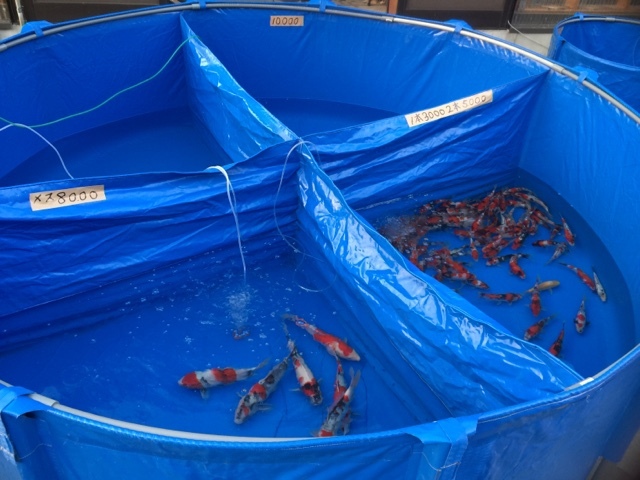 the koi house we went into had around 10 ponds this size - this one was empty and gives you a good idea about the size. basically, very deep. 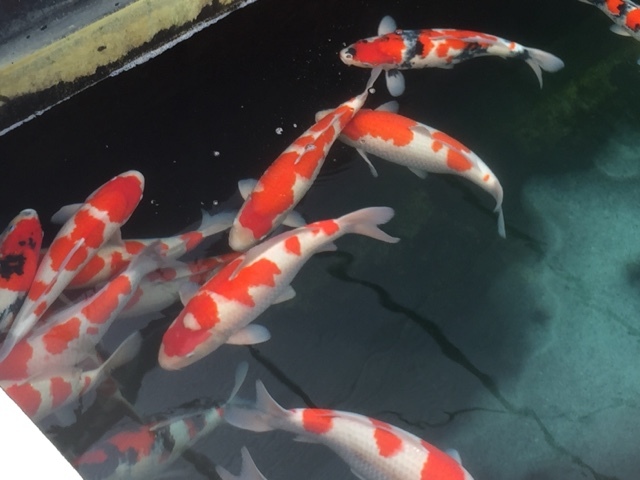 I've been trying to learn more about when a body is too thick around the shoulders and therefore too stocky looking vs a koi with good volume and good proportions - which does still involve a broadness in the shoulder area. 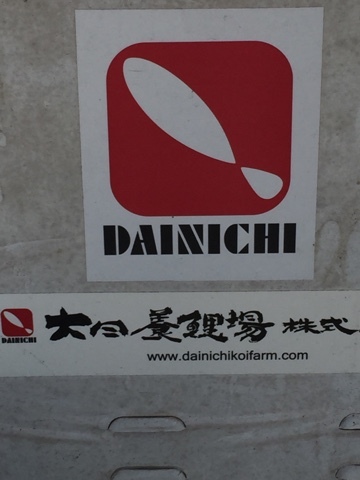 Still a lot to learn, but running through some examples with Gary at DIanichi and I'm starting to get my eye in - particularly on showa, as there were lots to look at . We talked about the widest part of the body on showa being just behind the gills, and with kohaku, the widest part is supposed to be a little further back. 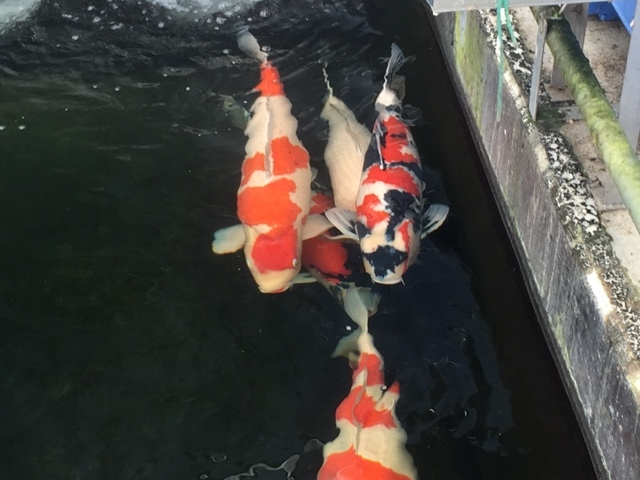 Its not often that i have seen koi in the uk with the volumous bodies on koi that I've seen at some of the farms in Japan. thats been one of the standout features of the trip so far, and brought home by the massive lumps of koi that we saw at Dianichi. 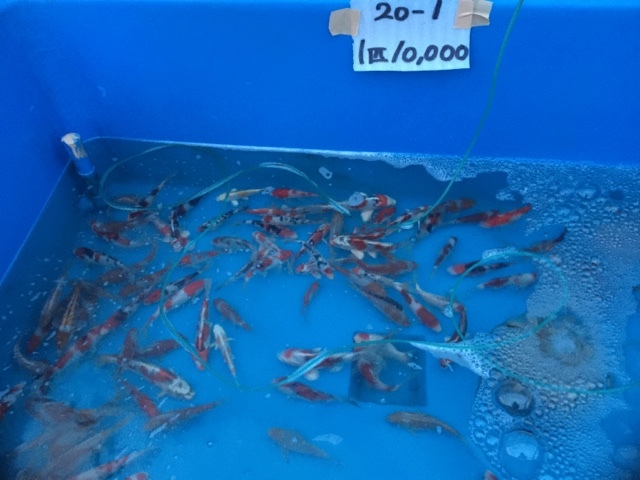 Hoshikin is right next to Dianichi, and we walked across the road and popped in there and there we a lot of good qualty kohakus which I was expecting, but also a large number of showas. 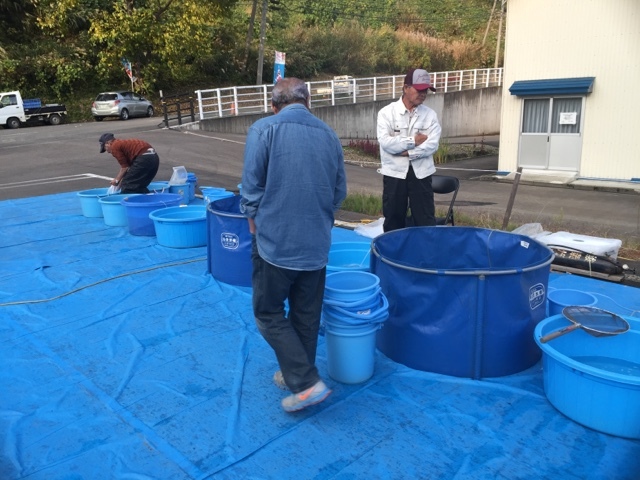 Hoshikin san netting up a pond for some customers to make buying choices, looked like they were buying the whole pond! but we left them to it, and let them get on with their business. 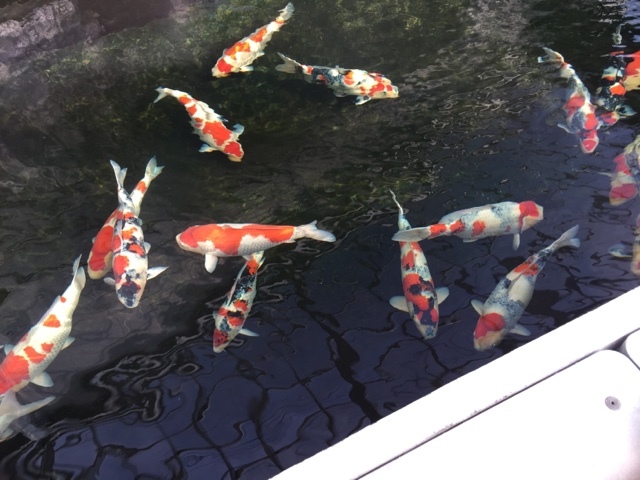 travelling around the area and looking at the koi just for interest sake - it's also aparant that a lot of business is being done in the same places. 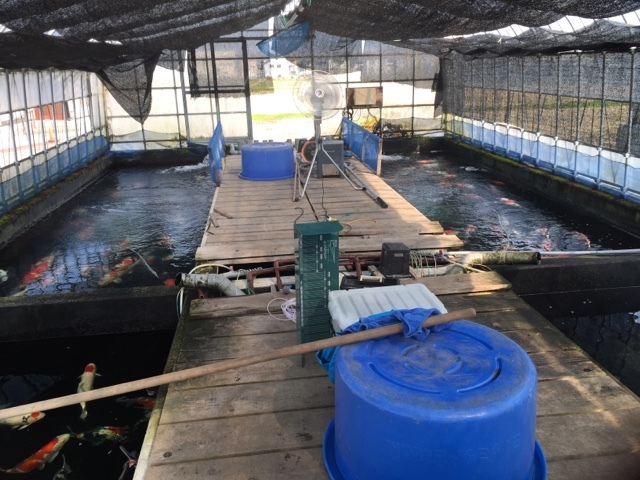 when we've seen the koi farmer going into a business situation - we've tended to move on to the next farm and allowed them to get on with it. 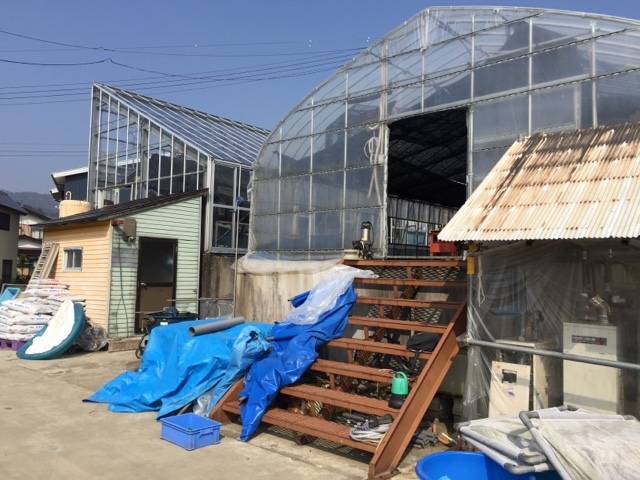 many people's livings are being made at this time in Niigata - the farmers, and the dealers. 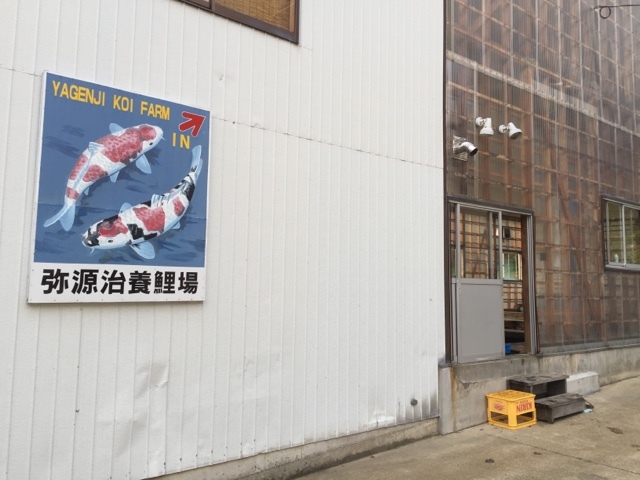 And it's been an interesting part of the trip just to be aorund that kind of thing happening and to observe from a distance and getting a sense of that side of the koi scene. I have also been extemely happy not to be a part of it! 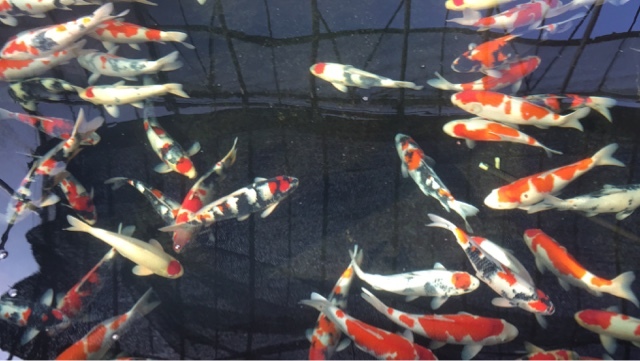 And just to be here to look at koi :-) ..... on this occasion. 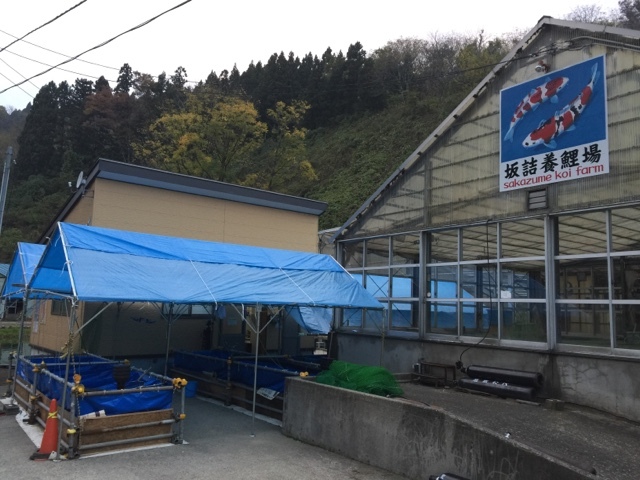 When leaving Hoshikin - we relfected that we've seen a lot more showa than sanke on this trip so far, which has been a surpise. One of the last farms we visited was Yagengi - we visited one of his fish houses on Thursay, and we went to the other one today. THis had probably my favorite pond from the whole day - the quality was good; although, some koi were much better than that others; but the range of vareities in one pond and most looking like good examples, really left a big impression. 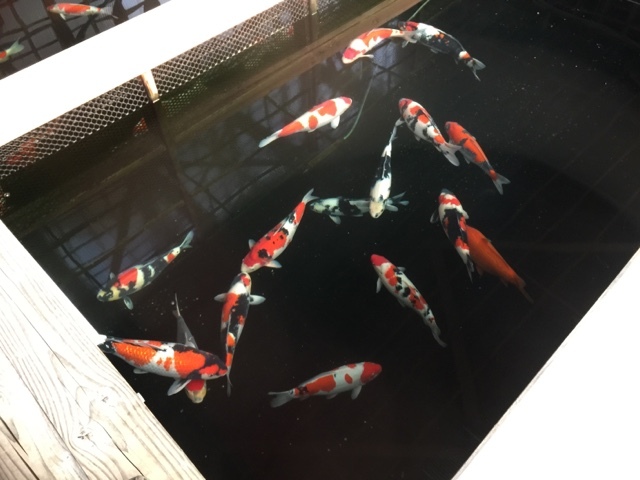 We finished the day by popping into Shintaro's house, and we ended up staying for over an hour - and I ha a chance to have a detailed chat with Shintaro san about breeding koi. Writing this blog update at 2 in the morning - I cant do the conversation justice. I will write it up in a separate post, but let me give you this taster; I found answers to some of the quite difficult questions I've been struggling with this ywar - like, why have I seen a massive difference in the keeper rate at first selection in my kohakus this year compared to last year. 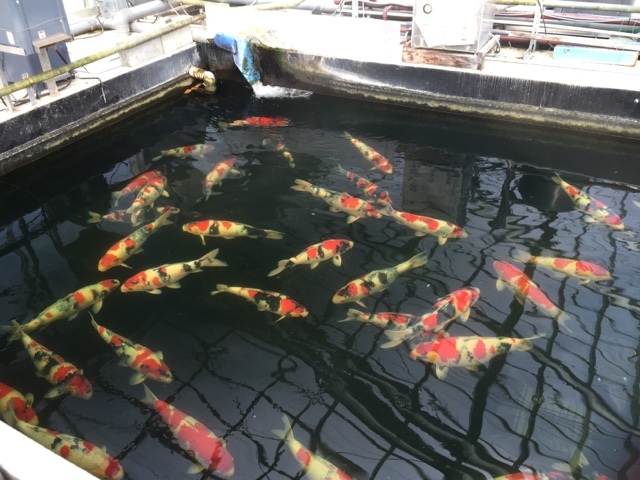 And, I also got to show him my blog site and some of the fish I've bred - and checked with him some of my decisions about which koi to keep and which to move on. Lets put it this way -there's a fish I put in a tank to move on about 4 months ago, that will be coming back across into a growing on tank for this winter. Opps! The language barrier was there, but we were able to discuss some things in quite a lot of detail. 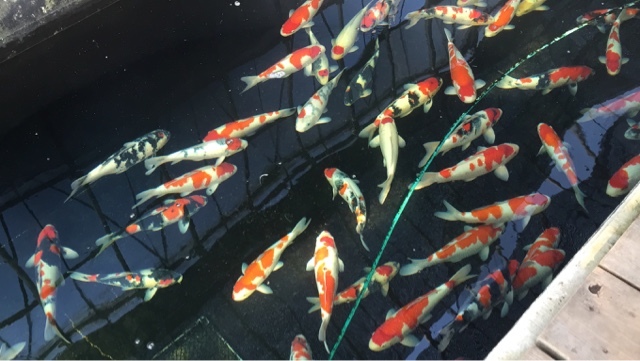 I let him know how we got on with the showa set that Amanda bought from him 2 years ago; they are fantastic looking koi, an have grown so well... but as you'll know if you read my blog regularly - the female hasnt spawned in either year since we had her. So, I've let him know , and it is a shame. But not something to linger on, and I will try again next year. 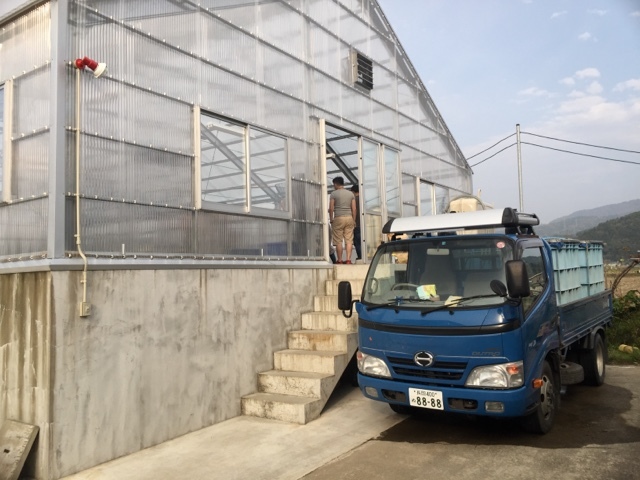 Having the detail on my blog was really useful when talking to Shintaro san about all the questions I had - because I just pulled up page after page with pictures and video and were were able to talk around the material. I wished him luck at the Nagaoka show which is tomorrow, and then Gary and I headed back to the New Otani. 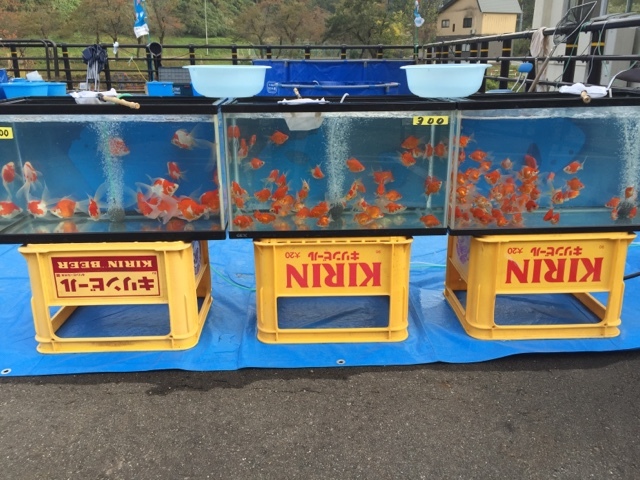 I am really looking forward to tomorrow - two koi shows, and weve learned that Matsunosuke is holding his auction tomorrow which is where Amanda picked up a few fish 2 years ago. I will be careful not to raise my hand at the wrong moment tomorrow!